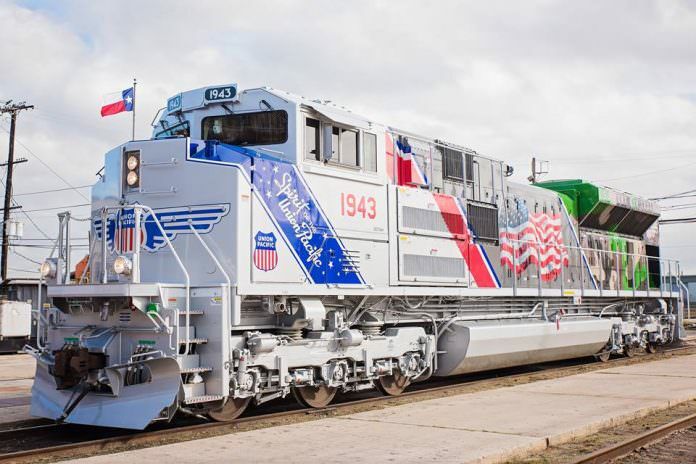 American freight operator Union Pacific (UP) has unveiled a special locomotive to commemorate the nation’s armed forces. UP No. 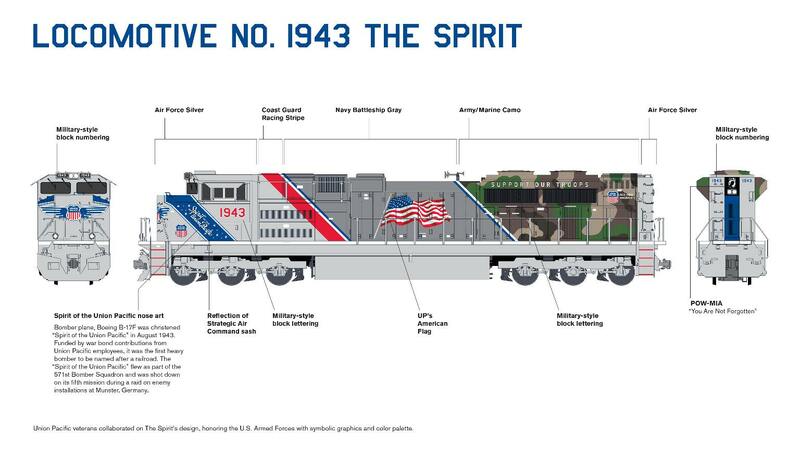 1943, also known as ‘The Spirit’, was created in collaboration with military veterans who work for the company and in respect of the number of ex-service personnel that have or currently work for UP. 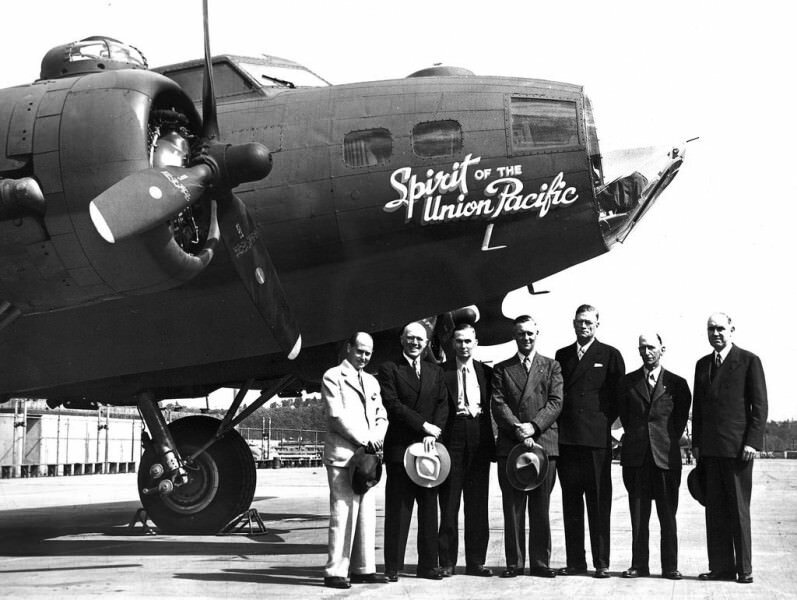 The name comes from the same name Boeing B-17 Flying Fortress bomber that UP employees funded through war bond contributions in 1943. 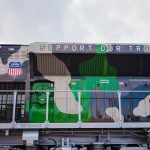 Thousands of employees voluntarily increased their payroll deductions for war bonds for two months and subsequently UP became the first railroad group in the US to have a heavy bomber named after it. 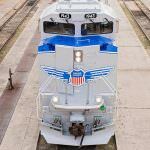 However The Spirit of Union Pacific was shot down during a raid in Munster, Germany. 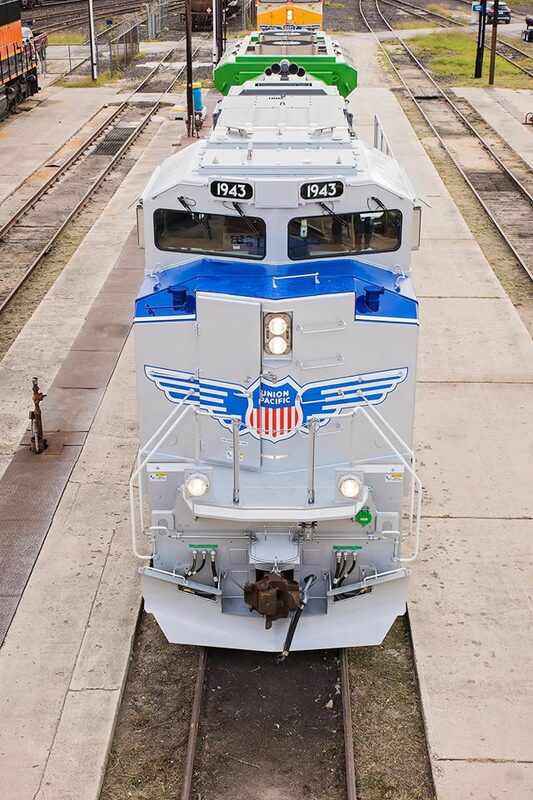 The Spirit of Union Pacific. 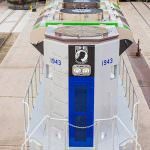 Credit: Union Pacific. 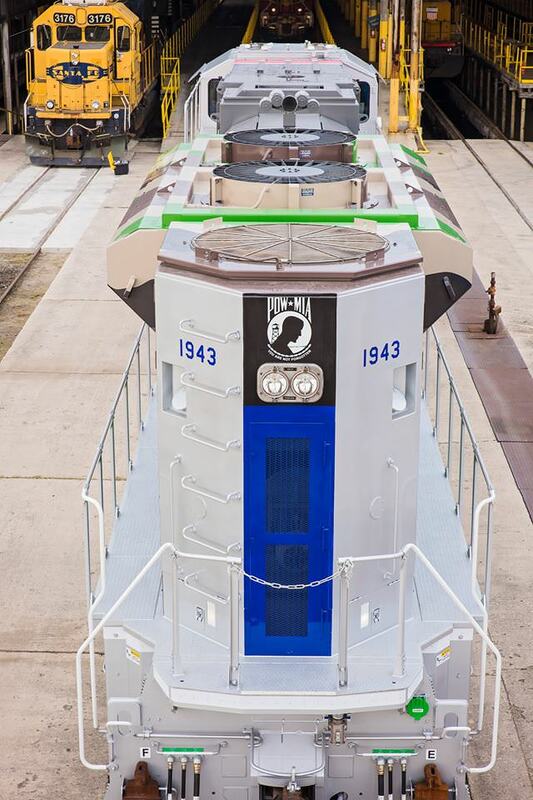 In a continuation of the military theme, a number of armed forces-related elements have been incorporated into the locomotive’s design. A statement on UP’s website describing the train reads: “The Spirit’s front is symbolic of Air Force Silver, and the blue stripe is a reflection of the former Strategic Air Command’s ‘nose sash.’ The lettering inside the sash is the original hand-drawn font used on the B-17. 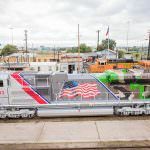 It is followed by the Coast Guard’s ‘Racing Stripe’ and the Navy’s Battleship Gray, which frames Union Pacific’s traditional American flag. The military camouflage is a nod to the Army and Marines. According to UP, more than 20 per cent of its employees have military experience. The train – UP’s 16th commemorate locomotive – was unveiled at San Antonio’s Sunset station, Texas, on October 19. 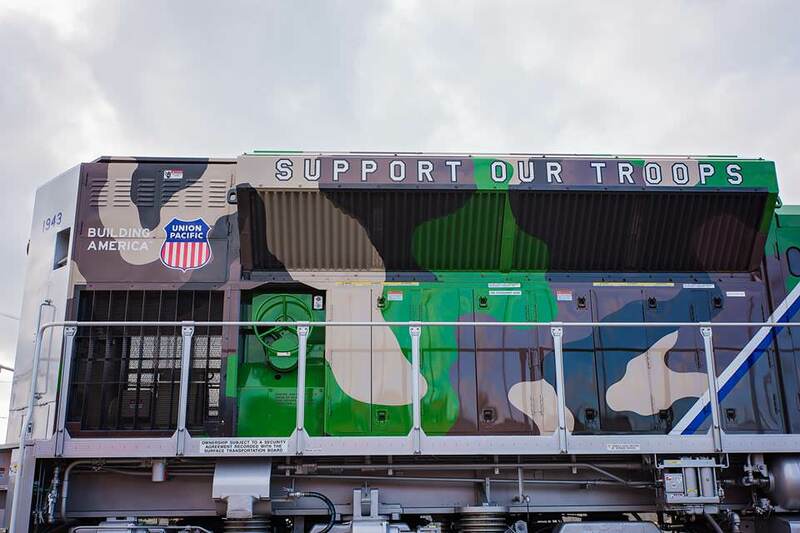 It will now embark on a ‘Salute to the Military’ tour across UP’s rail network. 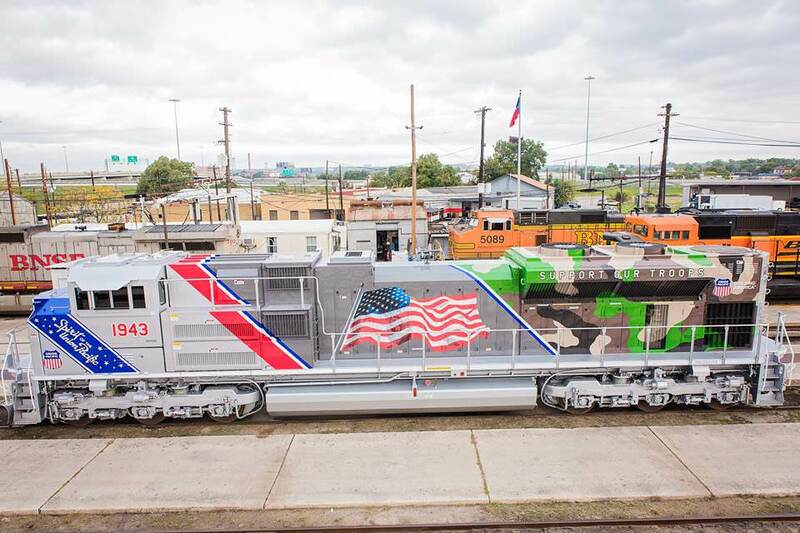 UP’s senior vice president of corporate relations Scott Moore said: “Union Pacific is proud to honour veterans and the men and women bravely serving our country with a special locomotive representing every armed forces branch reflected in its symbolic design.